The Astrological Birth Chart is a blueprint of your personality and also shows the external influences present and how they exert an affect upon your life. Through the Birth Chart we can explore your relationships, your health, your finances or your career. In fact, having your Chart done will give you details of all areas of your life! Your unconscious baggage, hidden issues and your spiritual pursuit. You will be able to acquire self-awareness of your current life path, along with guidance toward creating a more fulfilling future. Aproximately 90 minutes one on one. Returning Clients within a maximum of 12 months from the previous reading, have a special 10% Discount. PM (Starting at NOON 12:00 to 23:59)IF Exactly NOON write "NOON"
The location where you were born: Location is the city/town/village, the state/province/county, and country. *Without this data it is not possible to do a proper Astrological work. Here you will find what the Astrological Birth Chart Detailed Analysis is about. This Detailed Analysis of the Astrological Birth Chart is a fundamental tool for people who seek personal development, not only in the material area but also in matters of the mind and spirituality. The reading of the Astrological Chart of Birth in its version of Detailed Analysis, contains the essential analysis, and goes further, adding other factors originating in 4 distinct sectors of your life, which are interrelated forming what we call Triangles of "Astrological Houses". The analysis of the Triangle of Life is composed of 3 Sectors (Astrological Houses) in the Birth Chart. House 1 means your basic nature, your behaviour, and your attitudes. House 5 shows your creative personal and business abilities, your relationship with children and also the potential to give love. Also, in the Triangle of Life, we analyse House 9, where we find the bases for your life philosophy, your beliefs, and how you outline your chosen paths in life. The Triangle of Actions is composed of 3 Sectors (Astrological Houses) on your Birth Chart. House 2 means your personal values and also the way you handle your finances. Here we also find the most significant potential areas for earning money. House 6 shows your ability for work and business, your skills and also the relationship with employees and people with whom you work together in your daily life. Also, in the Triangle of Actions, we analyse House 10, where we find your life goals, your career and how you seek success in life. House 10 is also known as Midheaven, and is one of the most important points of the Astrological Chart because it shows us where and how you will accomplish your goals in life. The Triangle of Relationships analysis is composed of 3 Sectors (Astrological Houses) on your Birth Chart. House 3 means your communication systems, that is how you express yourself in your relationships with other people. Personal communication is one of the essential factors in establishing harmonious relationships, whether personal or even commercial. House 7 shows your ability to relate to other people, how you establish relationships (personal or business related). Here we find which key features you are looking for in people to associate with them, or what kinds of roles you would like your partners to have in your work associations. Also, in the Triangle of Relationships, we analyse House 11, where we find your projects for the future. House 11, on an emotional point of view, also shows us how you would like to receive love from others. The analysis of the Triangle of Purposes is composed of 3 Sectors (Astrological Houses) in the Birth Chart. House 4 means your origins. It represents home, family, and place of origin, here we find many past influences that have been passed on through family relationships. House 4 is the base on which you support the ladder of life. House 8 shows your ability to cope with life's changes. When there are very important changes in life, it is House 8 that shows how you deal with the changes, and also with the losses. House 8 also shows things that will be detailed in a will. Also, in the Triangle of Purposes, we analyse House 12, which represents what we have as unconscious baggage. House 12 has a lot to do with spirituality in general. Revelations, hidden issues are the themes of House 12. It also shows things that are completed (or end) through events that do not depend of your intervention. 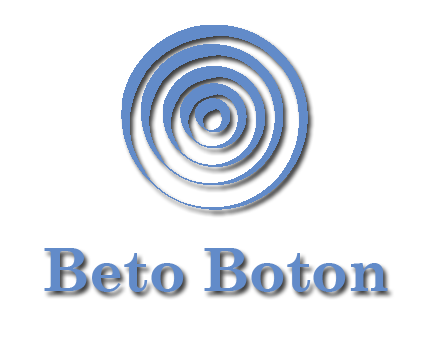 Beto Boton reads your Detailed Astrological Birth Chart or your Astrological Forecasts for 1 Year via Skype! All Astrological work done in person or via Skype is also recorded simultaneously in MP3 and you can download the files to listen to them in detail shortly after your query. To request your Astrological work via Skype and recorded in MP3 for download, click on the Paypal Add to cart. Beto Boton is available for consultations via Skype. Payments are made before the consultation. For payment click on the Paypal Add to cart. Please fill in the fields below before clicking on add to cart! You must provide correct birth information for all the reports with your order. In most countries, the original of the Birth Certificate has the Birth Time written in it. As an alternative, a lot of people resource to obtaining their Birth Hospital Records. In many cases, people rely on family information in the form of a baby album or even from parents or someone who happened to be there when the person was born. "Is the TIME really important?" The simple answer to that is "YES" it is. It will represent almost 25% of the correctness of the produced Astro-Report. IF no TIME of Birth is known a chart is done for NOON which is half way for the date of birth, but do this at your own risk, we insist an Astrological work should be done properly and according to best practices using the Time of Birth!